Jaén jarira, Ar. harīra, adasiyyat (fr. 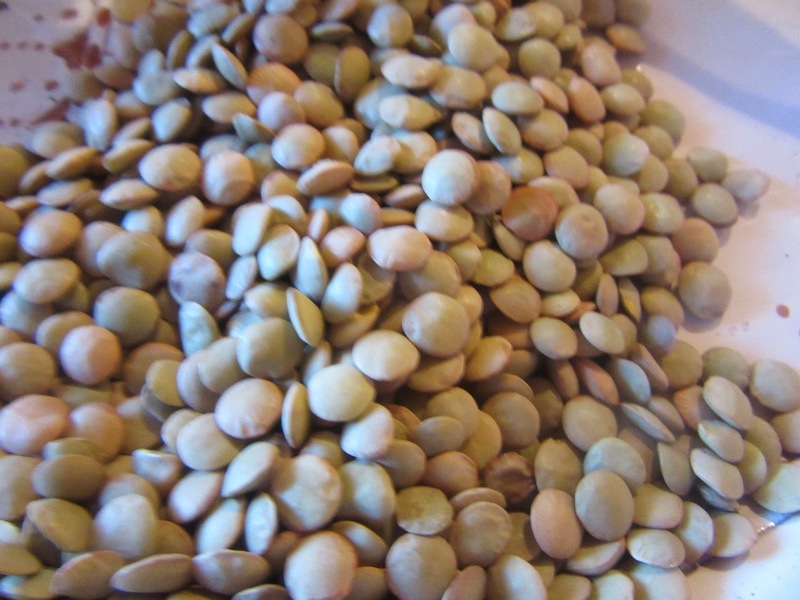 adas, lentil) Eng. 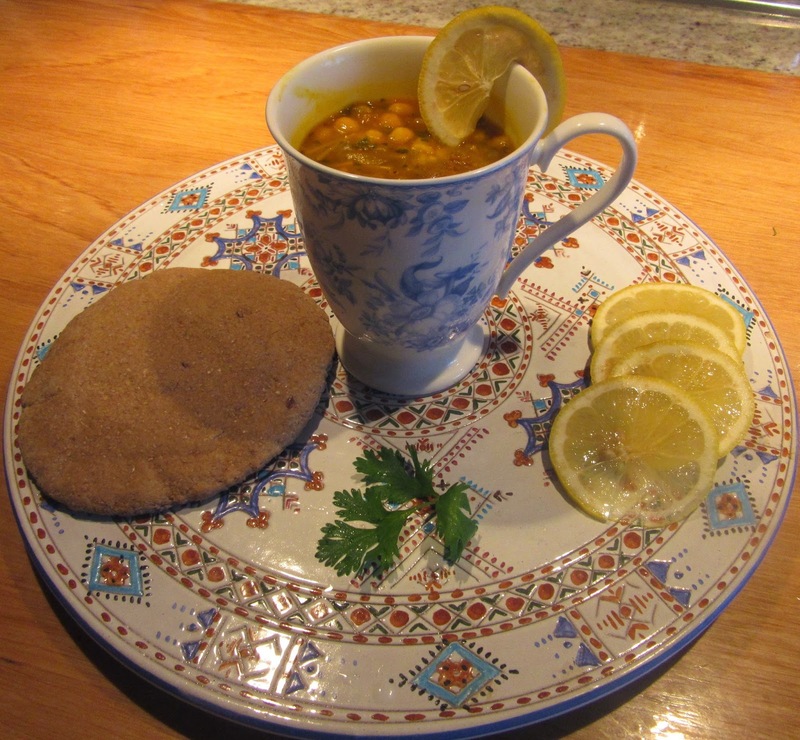 harira, the Queen of Moroccan Cuisine, lentil soup. Soup like dish, referred to by Assyrains as “vegetable of lungs.” Traditionally to this day, drinking this soup marks the end of daily fasting during Ramadan. It is known for its iron content due to the lentils and is always imbibed to combat winter colds. Every region and every home has a different recipe for harira. It can contain chickpeas, noodles and vegetables. It is slowly boiled in concentrated meat or chicken broth and can be mixed with wheat or rye and then strained. It is well spiced hen or lamb can be added as well. During Ramadam, harira is served to prepare the stomach for a feast of lamb, either roasted or in tajines (stewing pans). Beware, the art of this recipe is its simplicity but if done from scratch, it is time consuming. A Dish Savored by All! Soak chickpeas and lentils overnight in separate bowls. Strain, rinse and put into a heavy pot. Chop cilantro, parsley and celery together. Wash onions in cold water, skin and chop. Dice meat. Skin fresh ginger and shred it. Mash saffron and dilute it in a little meat broth. Add all to the pot. Heat a frying pan and add olive oil. Fry the onions. When translucent, remove from frying pan and put them in the pot. Add the meat to the frying pan and seal it. When browned add it to the pot. Cover and gently boil about 30 minutes depending on the age of the legumes. Younger ones cook faster. Garnish with lemon wedges and serve with pita bread. 1. Put lentils in a medium heavy pot, and cover with cold water by 3-4” (about 10 c). Bring to a quick boil, skimming froth as needed. Lower heat to low and let simmer, covered, until lentil is thoroughly cooked, about 30 minutes. For a creamy texture whisk the mixture with a hand whisker until smooth, a few minutes. 2. Add salt, black pepper optional items and broken noodles. Stir well. Keep simmering, and stir occasionally to prevent soup from sticking to the bottom of the pot until soup is nicely thickened about 15 minutes. 3. Meanwhile in a small skillet sauté onion until it is golden brown. Add flour and fold until flour changes color and is fragrant. Ladle some of the soup into the skillet, and stir to dislodge any flour and onion that might have stuck to the skillet. Pour the contents of the skillet back to the soup pot about 4 minutes before soup is done. Add lemon juice. Ladle soup into bowls; garnish with chopped parsley; and serve with warm bread. Toast bite-six pieces of flat bread, and sprinkle them on top of soup in a bouwl, just before serving. Add to the soup, chopped spinach, (one 10-ounce package frozen or one pound fresh= along with the rest of the ingredients in step 2. 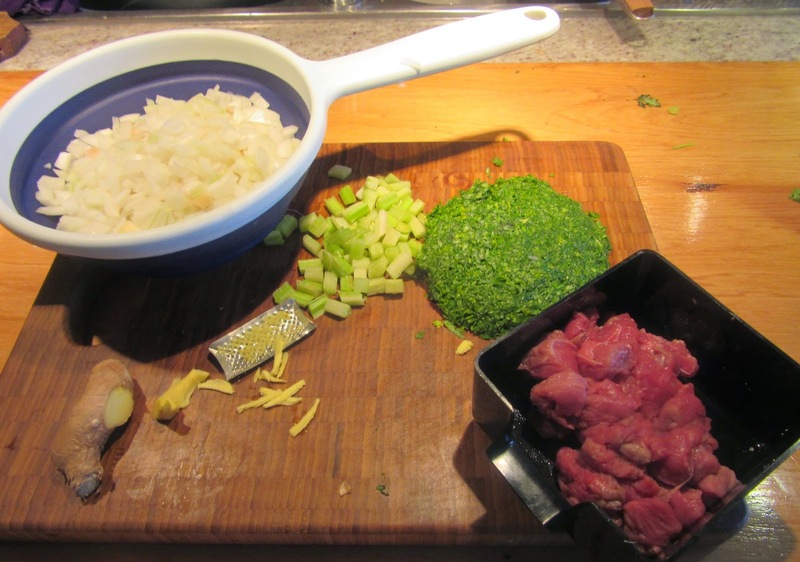 Although parsley and celery existed, they were seldom used in Spain during the Middle Ages. Celery leaves were used more than stalks.